In the course of the 8 years that have elapsed since we introduced readers to its Chief Executive Officer Alun Williams, the Swansea Building Society has opened branches in Carmarthen and Cowbridge, continuing to serve these communities with the same diligence and prudence so characteristic of its long history in Swansea. The Swansea Building Society was established in 1923 and its Head Office is located in Cradock Street in the heart of Swansea. It is a Mutual organisation owned by and run for the long-term benefit of its customers. The Society is one of only three remaining Mutual building societies in Wales and is the only building society or bank with its headquarters located in South West Wales. As well as opening the new Swansea Branch the Society will be retaining its Head Office in Cradock Street which will become an Administration centre to service the customers and staff at the four retail branches. Society has strong roots in the communities that it operates in and has pursued a policy of not encouraging deposits or lending outside Wales unless there are connections with Swansea or Wales in evidence. The Swansea Building Society believes that its face-to-face business model and outstanding customer service represents a major differentiator and is attractive to its customers and those that come into contact with it. Being a Mutual allows the Society to focus on its customers’ long term interests rather than being led by the demands of shareholders to pay divid-ends and chase short-term price growth. The Society’s intends to maintain and enhance its reputation as an independent financial institution in Wales. I have been with the Society for just over 17 years including the banking crisis of 2008. During this period the Society has pursued a policy of steady growth from £34m of total assets under management in 2000 to £275m in 2017. ‘Our balance sheet is 100% funded by personal & business savings balances which we have generated from customers based in Wales — and we have then lent these funds on to mortgage customers based in Wales. In other words our savings customers are helping our mortgage customers purchase and own their own homes in the same area that they all live in. ‘We don’t borrow any money in the wholesale money markets and we only grow our mortgage balances based on the savings balances we are able to generate ourselves: in other words, we are completely self-funding. ‘The major banking institutions are following an aggressive business plan to close branches, make their longstanding staff redundant and make as many of their customers bank online as possible. This has created an opportunity for the Swansea Building Society to expand its face-to-face business model and allow the customers themselves to decide which channel they wish to utilise when dealing with their building society or bank. ‘We are seeing a very healthy demand from both mortgage and savings customers who welcome the ability to call into one of our four branches and meet a real person to undertake their financial transactions. ‘The Swansea Building Society appreciates that technology is moving on and we intend to move with the times. We, however, propose to give our customers the choice of how they wish to deal with us rather than the one size fits all approach taken by the banks, forcing everyone to bank online. ‘We are therefore undertaking a review of what online banking platforms are available so that we can deliver a suitable facility to our customers in 2019 which will be a substantial capital investment for the Society. ‘I see it as part of our corporate and social responsibility to offer a traditional banking service to customers who are vulnerable and either cannot bank online or chose not to for security reasons as we saw with the recent TSB IT issues. ‘Once we have delivered our online offering we will revert to our branch expansion strategy in typical Welsh Market towns where we perceive that our potential new customers will benefit most from the products and services which we can offer which some or all of the banks may have abandoned. ‘As a very local business we pay all of our taxes and business rates in the UK, we employ all local people in our branch network in South Wales — who all in turn spend their salaries locally. We support many local charities and initiatives. ‘I really enjoy my job and am very proud of being one of only three people who are building society chief executives in Wales —- and of the consistent prudent growth that we have demonstrated through one of the most difficult periods in the history of banking. 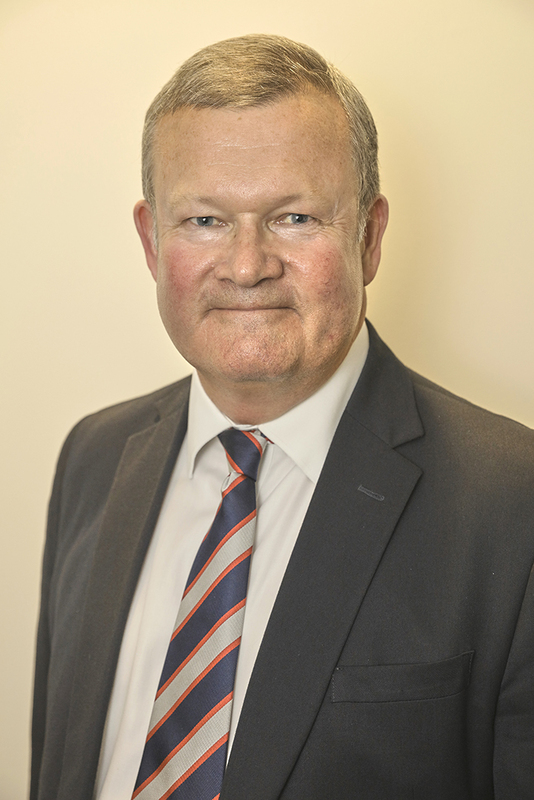 ‘Personally, I view my position as that of being the current custodian of Swansea Building Society and that my role is to make sure that when I leave I hand the Society over to the next custodian in a stronger and better position than when I inherited it. If I can do that and we continue to grow going forward as we have over the last seventeen years then I will be able to look myself in the mirror and say: you’ve done a good job! 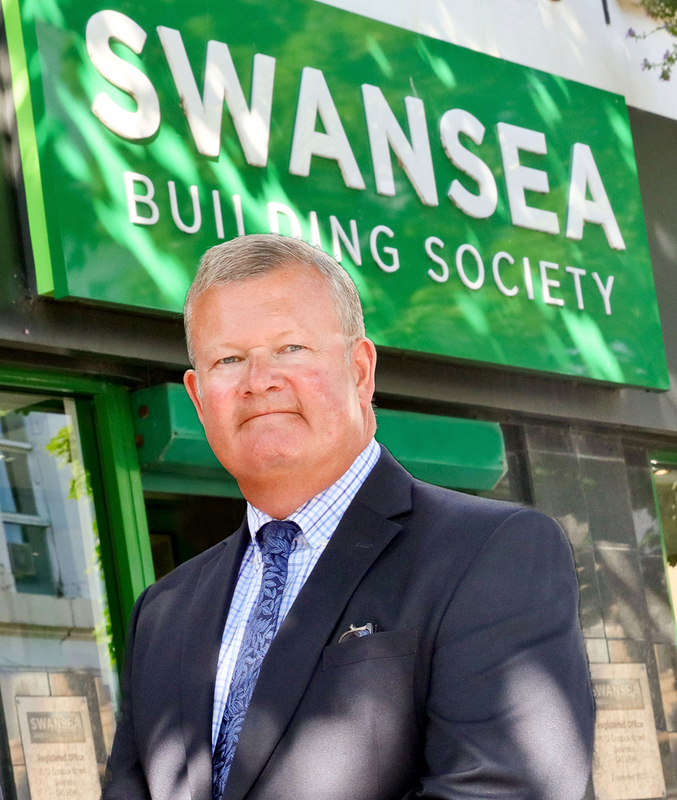 ‘The Swansea Building Society will celebrate our 100th anniversary in 2023 and I fully intend to be here to celebrate that momentous occasion with our customers, professional introducers, staff and our Board members. ‘I see no reason why we won’t be around in another 100 years’ time.